products, but I love this one. 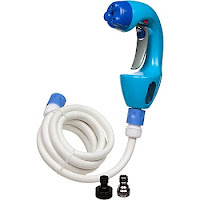 It looks cheap because its mostly that cheap plastic but it does the trick and it has three spray settings. I HAVENT tried adding the dog soap in the side but I dont think I will. So I cant tell you how good the soap and water works together. 12/15/201- Tast of the Wild Dog Food: Okay so changing Nova's food has been a long a crappy journey to say the least! 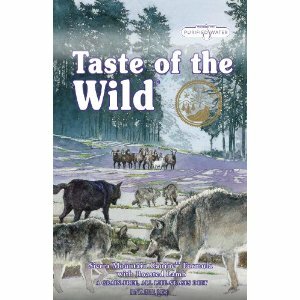 BUT we finally found the perfect product and that is Taste Of the Wild Sierra Mountain w/ Roasted Lamb. Nova Loves this stuff and not a liquid poo since she has been on it! I actually transitioned her to this in 4 days with just plain rice, rice cakes, and Taste of the Wild. (mostly because we were out of Natral Choice the VERY SAME day that we got this in the mail.. thank goodness) and I was so tired of feeding my dane crappy food. 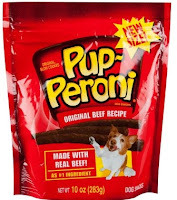 So, I absolutly love this food and MANY seasoned Great Dane owners will recommend this as one of the best (for a kibble diet). 12/15/2010- Nutro Natural Choice Crunchy Treats﻿- So this is Nova's (and mine) favorite ymmy treat. 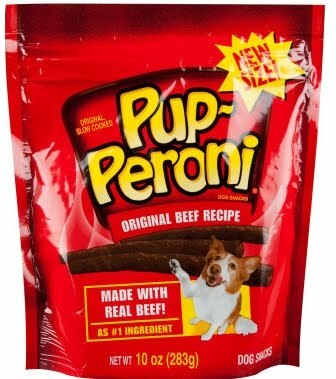 She is PERFECT with the bland bone treats that she usually eats but these are super special. These smell so good that even humans woud start to salivate!! I have only purchased the Apple and the Bluberry kind (as pictured) but they do have a cheese treat as well. These are perfect for Nova when she wants a "high value" reward. They smell absolutly yummy and they stay under her recommended protein! August 2010-Ingredients: Chicken, corn gluten meal, brewers rice, poultry by-product meal, whole grain wheat, whole grain corn, beef tallow preserved with mixed-tocopherols (source of Vitamin E), pea bran, fish meal, natural flavors, egg product, hydrolyzed sunflower oil, dicalcium phosphate, salt, potassium chloride, potassium citrate, L-Lysine monohydrochloride, choline chloride, zinc sulfate, ferrous sulfate, vitamin supplements (A, E, B-12, D-3), manganese sulfate, niacin, calcium pantothenate, riboflavin supplement, copper sulfate, biotin, garlic oil, pyridoxine hydrochloride, thiamine mononitrate, folic acid, menadione sodium bisulfite complex (source of Vitamin K activity), calcium iodate, sodium selenite. 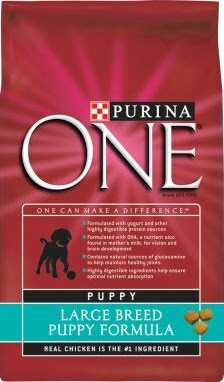 So Mommy has me on Purina one at the moment since that is the formula I started on. But Mommy says she does lots and lots of research and this is not the best brand for me. She said she wanted to switch me to a brand named "blue". She is super iffy about all kinds of dog food and would like some more help. So if anyone has some input on the Blue Brand please let her know so I can get Yummies in my Tummy and be super healthy for a very long time! Septemer 2010- Ingredients: Deboned Salmon, Whole Ground Brown Rice, Oatmeal, Maple Syrup, Vegetable Glycerine, Whole Ground Potato, Gelatin, Carrots, Sweet Potatoes, Salt, Flaxseed (natural source of Omega 3 and 6 Fatty Acids), Blueberries, Phosphoric Acid (an acidifier), Natural Smoke Flavor, Sorbic Acid (a natural preservative), Vitamin A, Calcium Ascorbate (a natural source of Vitamin C), Vitamin E Supplement, Taurine, Glucosamine Hydrochloride, Chondroitin Sulfate, Citric Acid (a natural preservative), Mixed Tocopherols (a natural preservative), Rosemary. First let me say YUMMY! 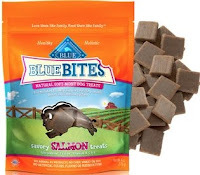 Mommy wanted me to try these treats since she is looking to change me over to Buffalo Blue dog food. 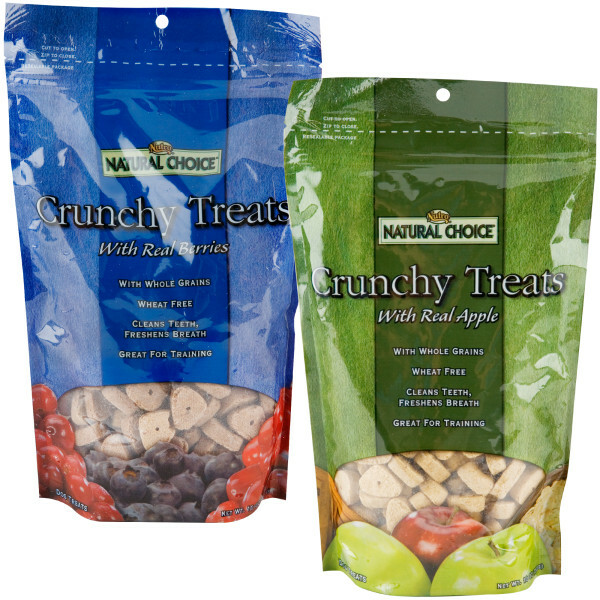 These treats are super soft so they are great to break up and train with (although I wish mom would just give me the whole thing!) They also keep me on my toes with my training because its Salmon flavored and im used to beef flavored things. On a side note... Teagan, my Chi Sissy, is not used to the Salmon taste and is still getting used to it.. But that just meas more for me! August 2010- Ingredients: Chicken, Corn Syrup, Soy Flour, Wheat Flour, Corn Starch, Water Sufficient for Processing, Propylene Glycol, Animal Fat (BHA used as a preservative), Animal Digest, Bone Phosphate, Soy Protein Concentrate, Sugar, Beef, Salt, Potassium Chloride, Titanium Dioxide, Phosphoric Acid, Sorbic Acid (used as a preservative), Garlic Powder, Caramel Color, Natural Smoke Flavor, Red 40, BHA (used as a preservative), Citric Acid (used as a preservative), Yellow 5, Yellow 6. Guaranteed analysis: Protein (min.) 12.5%, Fat (min.) 7%, Fiber (max.) 3%, Moisture (max.) 30%. Okay, so mom also gives me these for treats. But she is not sure about the wheat flour.. so what do you all think of these treats? Mommy is kind of new with what I can and cant have.. She wants me to be super healthy but she needs some much needed help! As for as how much I love them and how much mommy loves them... We do! Mom likes that they are small (and she doesnt even give me the entire thing.. she cuts it in half.. what a cheapo!) She also likes that they are super soft so that way when we are training I eat the treat and it doesnt take too long. I like them because they are so squishy and yummy! I also like them because they dont fatten me up like other dog treats. August 2010- Original Beef Recipe Ingredients: Beef, Meat By-Products, Soy Grits, Sugar, Liver, Salt, Propylene Glycol, Garlic Powder, Caramel Color, Natural Smoke Flavor, Potassium Sorbate (used as a preservative),Sodium Nitrite (for color retention), Red 40, BHA (used as a preservative), Onion Extract. Mommy gave me some of these because these are Teagan's favorite.. Oh and they are so soo good! However... They are Mommy's least favorite and that is pretty important since she buys my food! She says they are super greasy and that just reminds her of McDonalds... which is not good for humans. She doesnt give me these often but when she does I go nuts! 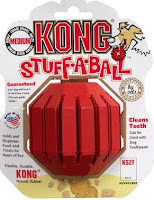 August 2010- Kong Toy: So this is by Kong and its a stuffable toy. 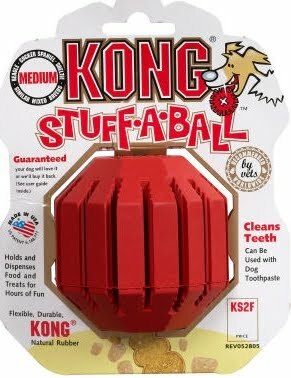 I was not impressed with this toy even though it has the ability to keep a dog busy for hours and the teething factor as well. I think some of my puppy friends would love this toy but I don't play with it a lot. Mommy has to keep filling the treats and there are more fun toys that I have... So mommy said she waisted a lot of money with this toy. Update: 12/15/2010: ova absolutly loves this this! she loves the treats that fall out and loved it when she was teething! August 2010- PETCO Jumbo Loofa Toy: This is by far Mine and Mommy's favorite toy!! They come in three sizes so mommy got me the largest so if I dont ruin it in the first week I can keep chewing it. These toys have not ONE.. but TWO squickers. The high pitch normal squeaker is in the head of the doggie and the nice new low pitch long tone is near the tail. Mommy really loves this toy because I dont accidently bite her when I get too excited. But one thing that is super embarresing that mommy keeps telling people is that.... shh... I like to hump this animal... Yucky! All in all though, this is the best toy ever!